We are proud to be designated as a local independent Trane Comfort Specialist™ Dealer. Only a select number of HVAC companies have this distinguished achievement. Dealers qualify for this honor on a yearly basis by meeting Trane's strongest standards for professionalism and technological expertise. Learn more About Us by clicking through our website. 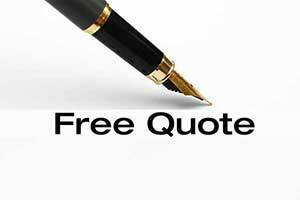 Check out the Services we offer including a Free Quote and 24-Hour Emergency Service. We look forward to servicing your heating and cooling needs soon. 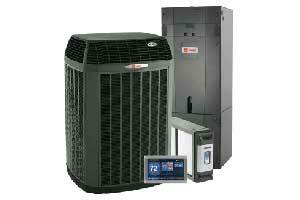 We offer Furnaces and Air Conditioners by companies such as Trane, Mitsubishi Electric and Climate Master. We also offer Fireplaces by Napoleon, Majestic and Regency. In addition to the above products, we offer the latest in techology from Schlage Remote Management. We offer a wide range of services from new furnace and air conditioner installations to routine care for your furnace and a/c systems. Repair situations may occur unexpectedly, any time of day or night. 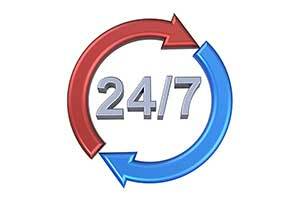 You can count on 24/7 solutions provided by our team of highly trained technicians. In order to request scheduled service, please visit our service estimate request page to fill out our form so that we can provide you with exceptional service. For immediate service, please call (877)859-7353.